As we approach the seasons of Advent and Christmas, Pope Francis has instituted a new ‘World day of the Poor’, which this year will be celebrated on Sunday 19 November. In his message for the day, Pope Francis says he wants the annual event to be a “powerful appeal to our consciences as believers, allowing us to grow in the conviction that sharing with the poor enables us to understand the deepest truth of the Gospel”. His message is entitled, Let us love, not with words but with deeds. This is a good reminder not to forget the poor and dispossessed, as our families start to plan for end-of-year festivities. 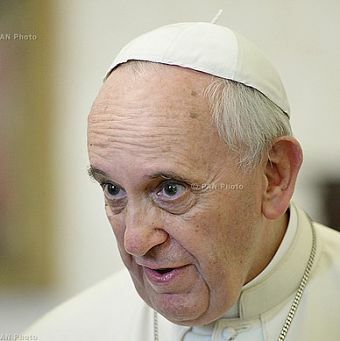 The Pope warns of a growing divide of wealth, and an indifference in contemporary culture to the plight of the poor. He says, “if we want to help change history and promote real development, we need to hear the cry of the poor and commit to ending their marginalisation”. And if it is a good global citizen, Australia must remember its responsibility to asylum seekers, many determined to be refugees, who languish in third country detention facilities which Australia has constructed, to which it has sent people, and runs. These words of Pope Francis about poverty remind us of the kinds of troubles and fears these people fled to seek asylum. He says, “poverty challenges us daily, in faces marked by suffering, marginalisation, oppression, violence, torture and imprisonment, war, deprivation of freedom and dignity, ignorance and illiteracy, medical emergencies, shortage of work, trafficking and slavery, exile, extreme poverty, and forced migration”. 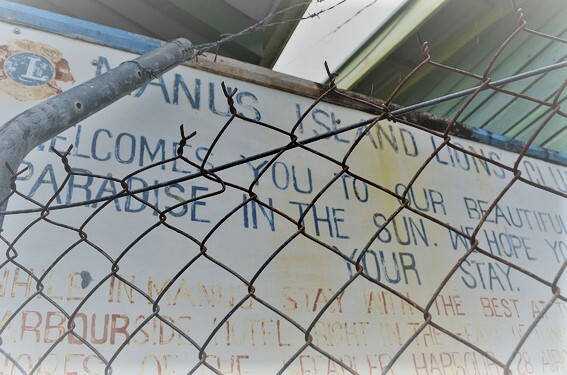 Manus Island sign. Cara Cerlani. flickr.cc. We must remember the 600-plus men on Manus Island who remain in fear for their safety in a facility now abandoned by Australian authorities. The desperate poverty described by Pope Francis captures the nature of the circumstances they fled, as well as some of the conditions they have endured in Australian-run facilities. The immigration policy of recent governments would like to keep us ignorant of what occurs on Manus and Nauru, and avert our gaze from the “faces marked by suffering”. The very least Australia owes these men is the guarantee of safety and the opportunity to resettle in Australia or another suitable country. Mr John Ferguson is National Executive Officer of the Australian Catholic Social Justice Council, based in Sydney.